Having headphones that give you noise isolation is great! Having headphones that give you good sound quality is also great! What if you can have both? Headphones that not only give you good sound quality they also give active noise cancelling talk about awesome! You agree with me, with these modern open offices there seem to always have that very loud co-worker. The traffic noise at the coffee shop as you try to concentrate on a task has become harder and harder with each passing day. With today’s world with and the entire noise, one needs to escape a little. Sometimes you need your own time, your own space and a moment to close off the noise from the world, to listen to amazing music, or an audio that requires your fullest of attention from all the distractions. So what is this hype about active noise cancelling headphones? How are they different from the normal headphones? The noise cancelling headphones use the microphone that listens to the outside noise and then a special circuit analyses it and generates a counter signal. This feature enables them to cancel out all the outside noise. That is what separates the Noise cancelling headphones from the normal type of headphones that use noise isolation. Now With all the noise in the market and advertisement everywhere, one is not able to make the best headphones for noise cancelling. 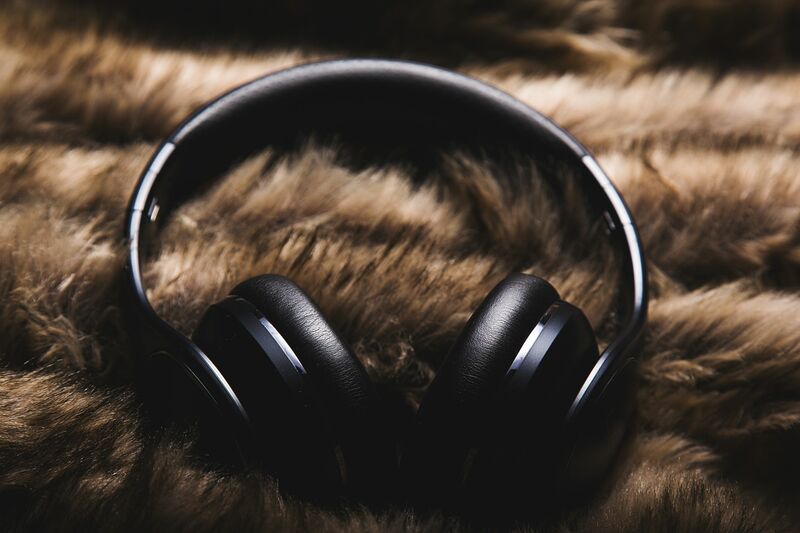 That is why am here to make it easy for you to make your choice a breeze, as we have looked around and reviewed the best noise cancelling headphones to make your work a lot easier. If you are in a hurry, the comparison table below can give you a snap-shot! Clearly, the Bose Company is the leader in noise cancellation. The company has been in the game since the 1980s and is way ahead in hardware behind noise –cancelling. Today we look at the Bose QuietComfort 25, the absolute overall best noise cancelling headphones available on the market right now. They truly shut down the drones and hums of the modern life. They make Listening to music is so deep and powerfully balanced. This is especially great for people on air travel the roar fades and suddenly the flight becomes more comfortable. They are very comfortable, light weight and can be folded down to be carried in compact case. These headphones can be used on passive this means that you can still listen to the audio when the battery is dead. They are more compatible to IOS devices and other selective devices, but not to Android devices. It comes with its own zipped case that has a drawing that shows you how the headphones are folded. They also come with n adapter, a cable with mic and remote, Airplane adapter, one AAA battery and a 2.5 mm micro jack. Truly the Bose quiet comfort 25 are top notch at cancelling the noise, however, the thing we don’t like is that the sound quality which is okay but not great! Unlike other headphones where you get good noise cancelling and also great sound quality. The other let down with these is that don’t use a rechargeable battery but the case provides a slot for a spare battery and they can still work passively without the battery. Regardless they are amazing premium headphones for the price offered they will not disappoint you. They are suitable for you if you are looking for headphones with superb active noise cancelling which are light and comfortable. When you talk of noise cancelling technology, then you cannot go without mentioning the Bose QuietComfort series. The Bose QC35s are clearly the best noise cancellation headphones available in the market today; with them you get noise cancelling without compromising on sound quality and clarity. It has a beautiful design which is available in black and silver with a matte finish. The headphones are padded and are very comfortable when you wear them. With a folded design makes it very easy to carry around. The breeze in pairing is amazing and is very good at switching between multiple connections. With a multifunctional button, dedicated volume controls led light indicators for battery life and the Bluetooth status. It can also be used a headset for phone calls. Unlike its counterpart the Bose QC25s, it works for both IOS as well as Android. With amazing noise cancellation as well as Bluetooth connection and you can go wireless which offers flexibility in use and versatility. They also have a cable just in case you don’t want to use Bluetooth. The battery can last for up to 20hrs – Bluetooth mode, 40hrs when wired and you can still use them when the rechargeable battery runs out. Has a micro USB charger, and takes up to 2hrs to charge fully. The QC35s are definitely for you if you are looking for comfort in noise cancelling and you don’t mind the small dent in your pockets. These are premium noise cancelling headphones that cost less than the other full-size headphones, like the Bose QuietComfort 35 and Sennheiser HD 4.5 BTNC definitely a bang for your buck. The Plantronics backbeat pro 2 have seamless Bluetooth connectivity allowing you to make awesome phone calls while providing clean balanced sound and decent noise cancellation. They come with very comfortable design as the ear cups are lined with leather as well as the headband and are also lightweight compared to the last series weighing at 290 grams. The coolest feature on the ear cups is an open mic mode which allows you to pause your music and hear the ambience of your surroundings without the need to take the off the headphones. In addition to this are awesome sensors which pose and resume the music when you remove the headphones from your ears and when you put them back. They offer 24hrs life battery; they can even last longer when the active noise cancelling function is off and don’t worry, they can also be used wired just in case the juice runs out. They are compact and fold flat and thus ideal for travelling purposes. These headphones come with nice carrying pouch a 3.5mm audio cable, micro USB charging cable, and the instruction booklet. The Plantronics backbeat pro 2 headphones are for you if looking for great battery life, fairly comfortable, Bluetooth connectivity, decent sound and are almost half the cost of their competitors. They might not offer the absolute best noise cancellation but are worth it for the price. The style of these headphones is not for everyone. If you are looking for premium headphones that will offer you the best quality in the market then you have arrived? The Sony MDR-1000x wireless headphone is among the very best of the Bluetooth headphones. They offer powerful active noise cancellation that can compete with the Bose QC35s and sometimes even better, with great audio performance. They also cater for hi-res audio and have 4 microphones. With a simple design, these are over-ear comfortable headphones with faux-leather ear pads and can rotate 90 degrees to ensure a perfect fit. They can fold flat making them ideal for travelling purposes. With a long battery life of up to 20hrs when the Bluetooth is on, you can use it to cancel out the droning plane’s engines, on your next long hour flight. With LDAC technology they deliver standard audio and seamless Bluetooth connectivity. Enjoy making hands-free calls with a decent mic and the Bluetooth can reach up to 50 feet. State of the art touch control called the Quick Attention Mode where you use your hand to cap the right speaker, the volume drops immediately and the exterior microphone channels all incoming noise into the headset. Touch-capacitive ear cups come in handy when you want to switch off the function when either you are checking in at the airport or have to listen to someone quickly. They come with hard carrying case a 3.5mm audio cable, a micro USB charging cord and an airplane adapter. Overall these are plush headphones, which offer value for your money, if you are tired of seeing all the “Bose adverts at the airport” then these are worth a try. The Sennheiser HD4.5 BTNC wirelesses are over-ear headphones with active noise cancellation good sound quality both when plugged in and when using the Bluetooth option. While still giving good sound and at a cheaper price compared to the Bose QC35s and Sony MDR. Despite them weighing 238g these Sennheiser HD4.5 BTNC headphones are lightweight and flexible. They come in a matte finish, thou the padding is foam and they don’t have that luxurious feel to them. Its best feature so far it’s that they are ergonomically designed, meaning that is built considering the consumer’s overall health and the use of headphones over a period of time. This is very important as your health is very important. These headphones can be used passively and still have cleaned audio and still have powerful performance. They are easy to travel because they can fold and be carried in a carrying case. The main challenge that we found with these headphones is that the noise cancellation affects the audio at some point in a way and the headband is slightly uncomfortable. If you are looking for performance, style and comfort ability in the wireless active noise cancelling headphone category, then these are the headphones for you. The noise cancellation is good but not great. The main logic here is that Samsung saw an opportunity to tap into the noise cancelling market considering the fact that there are hundreds of thousands of Samsung phone owners and decided to provide for us Samsung level on pro wireless headphones with powerful noise cancelling features. The levels on pro wireless are very comfortable snug fitting, on-ear headphones that barely cover the earlobes. The simple design and the soft faux-leather over the ear pads also add to the comfort. They can be hanging on the ear comfortably without you thinking of it. With a stylish design, these bad boys look like we are already in the space ages with a touch-capacitive ear cups for the buttons and two switches on the ear cups, one for the Bluetooth and the other for ANC (active noise cancellation). You get a battery life up to 10hrs when the Bluetooth is on and the ANC, 20hrs Bluetooth on without the ANC and 18hrs for wired with ANC. Samsung level pro headphones have the Bluetooth version 4.1 which can connect up to 10 meters (30 feet) that work with the sound companion Level app for Android phones that can allow for you to share the music with someone around you with the same pair and the tweaking of sound level. They come with a carrying case, a 4-foot 3.5-to-3.5mm cable – and a micro USB port. These headphones can fold up, meaning they can be packed easily allowing for them to not be damaged during the transition. Overall the Samsung level on pro, have great noise cancelling headphones, along with the Bose, thou the sound quality is not of the highest standard, the UHQ feature favours the Samsung users as they are able to enjoy better quality sound than the rest of us. Good for someone who already owns the latest Samsung phones since they already have the Ultra High-Quality Audio. They feel very fragile to hold, due to the plastic bridge, making us question if they are durable in the long run. The Samsung high-quality sound UHQ that is only available for Samsung phones. Are you on the hunt for active noise cancellation headphones with good sound quality on a budget? Then the AKG N60NC headphones can do the job for you just as well, and at lower price comparable to the Bose QC series and the SONY MDR-1000X, still pricey but lesser than its competitors. These headphones are well designed, light weight, despite them weighing 199grams. With great padding on the ear cups, they offer comfort on your ears if you plan to wear them for a long period of time. Thou they may be snug for people with big earlobes. These babies are compact and can fold up easily to be packed in a carrying case which makes them ideal for travelling purposes. They will definitely come in handy when you need noise cancellation on the train ride or flight. With a good battery life, which can last up to 15hrs when the Bluetooth is on as well as the noise cancellation feature, 30hrs when wired and the noise cancellation is on. They come with a 51-inch cord with an in-line single button remote/microphone, a soft layered zipped carrying case, flight adapter, woven detachable cable with built-in mic and 3.5mm to USB charging cable. In summary, the AKG N60NC headphones offer good noise cancellation capabilities, with a good sound quality. However, the challenges that we encountered with these headphones, is that the controls for the forward/back buttons switches are a bit tricky because they are so near together and controlling them is not easy one can miss a track or even switch the headphones off when operating the switches. Also, phone calls can sound a bit muffled. If you are looking for compact headphones that offer good bass, active noise cancellation, wireless convenience with at cheaper price. Then the AKG N60NC is for you. Compact, helps in carrying them from place to place. They sound better wired than wireless. If you are on a budget and you are surrounded by noise everywhere and you want noise cancellation headphones for a lesser price, the audio-Technica Ath-anc7b can do the job for you. The headphones offer a secure fit; they might not be very comfortable to people with very large earlobes thou they fit quite snug for normal people. The headphones don’t feel heavy when you wear, despite the fact that they are 200g, you can definitely wear them for 4hrs no problem. These headphones are compact, meaning they are good when you are travelling. They can be able to give noise isolation in passive mode, when the battery is off. This is an advantage over its premium full-size competitor the Bose QuietComfort 15s. They come with a protective carrying case, a full-size 6.3-millimeter phone adapter, and an airline adapter for connection to in-flight entertainment systems. They come with different sized cables for versatility. The challenges wit this headphones is they tend to leak out sound when the noise cancellation is off. They also use an AAA battery. Well overall, these headphones are just okay nothing much to wow anyone, they provide active noise cancellation but the rest is not up to standards, considering the fact that they are a little pricey for our taste. So if you are not into brand names then these headphones can as well do the job for you. The Cowin E-7 wireless headphones are not the most stylish headphones, but they have a built in active noise is cancellation and are budget friendly. These are wireless, lightweight and comfortable. With 90° swiveling ear cups, professional ear pads and headband material delivers more durability, you can wear all day long. They provide you active noise cancellation with extended frequency range 40mm ear-cup aperture drivers that give a deep accurate bass response and amazing sound outputs, clear and sharp. They can connect with a Bluetooth and allow you the freedom of movement. You can now go hands-free with the onboard-mic plus remote that allows you to take calls. The remote can also be used to control and switch on and off. They can offer up to 30hrs of battery life on Bluetooth and have a fast fuel feature, you can charge for 10mins and use it for 90mins but it needs a 5hr charge to give 30hr usage. They come with a 3.5mm audio cable if you don’t want to go wireless. These headphones are perfect for someone who wants the wireless ability, noise cancelling feature, price, and then quality in headphones in that order. They are also suitable for gaming, watching movies, listening to music and even business purposes. Also, if you want your air travel to be easy, Also productivity in the office is greatly improved where it is simply you and your music. Thou the Cowin E-7 are affordable, the built quality is a bit low and it might not be the best choice for outdoor activities, like running or work out, they are not for an audiophile. Plastic appearance makes it look cheap. Since not everyone is in a position to get the high-end premium active noise cancelling headphones, the BOHM wireless Bluetooth offers an option. Who knows, you might be in a situation that requires immediate noise cancelling headphones and you don’t have the budget yet. For the price range of less than $100, these clearly are the best active noise cancelling headphones. I mean it doesn’t get better than this these babies when we say very affordable in the active noise cancelling headphone department. The headphones are comfortable ear to ear which is adjustable to fit tight and snug. You can also make quality phone calls with these headphones. The stylish design makes them look expensive as they come in a combination of colour silver and brown, brown and gold. They are crafted with aluminium, offering a smooth and sound good. These headphones are wireless and have Bluetooth, but they sound better plugged in. They come with a rechargeable lithium-ion battery that can last up to 18 hrs when fully charged, thou there is an option of using a cable. This is understandable considering their price range. These headphones come in a very sturdy zippered case, one that has ample room for the Micro-USB charging cable and stereo patch cable. If you on the cheap scale and you want to try out the active noise cancelling feature, then these headphones are for you. The following are things that you should keep in mind when choosing. What you should keep in mind as you shop around for the best pair for you. Very simple right, but that is not all, my friend! Where are you going to use these headphones? Are you going to use them on a flight or a train ride, or for cancelling out traffic sounds or the office? If they are for travelling purposes then you have to consider features like compact, long battery life and weight. If you want to use them for example at a noisy gym area, you might consider waterproof headphones. Do you want Wired or Wireless headphones? This aspect plays a big role in allowing you flexibility in the office, or while you are watching a movie at home, or need to concentrate on a podcast and you don’t want any distractions like cables strangling you, to focus fully on the task at hand. Then if your choice is wireless, then consider Bluetooth connectivity, the range of connectivity. A point to note is that most active noise cancelling headphones provide you with the versatility of being wired or wireless. The active noise cancelling feature requires charging. This means that some come with AAA battery life, others have a built in rechargeable battery. Here you have to consider the battery life and if you can use the headphones on passive mode. The other consideration is how easy is it to charge, using a cable or an adapter, this should not worry you thou since most new models can have a battery lasting 20 hrs. 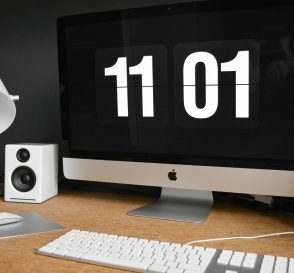 How long the battery lasts is also another consideration to keep in mind as you can be taking long flights and you don’t want the battery to die on you, you also have to consider the type of battery that a noise cancelling headphone is using, you might need to carry a spare one just in case. Do you want a touch- sensitive ear cups, you have to remember these are in built in for particular headphones. Well, not all headphones are built the same, and controls that are amazing are not on every headphone, keeping that in mind controls also offer flexibility and comfort. Some controls are often confusing and this can become frustrating. If you want your next flight to become something to look forward to, then my friend you need the best noise cancelling headphones, and not just any headphones, the very best in the market, the one that is worth your buck and does the job well. Trust me it makes because air travel has been made more enjoyable. The Idea of being able to put on headphones and be in your own world without all the noise in the world as if you are in your own private club.